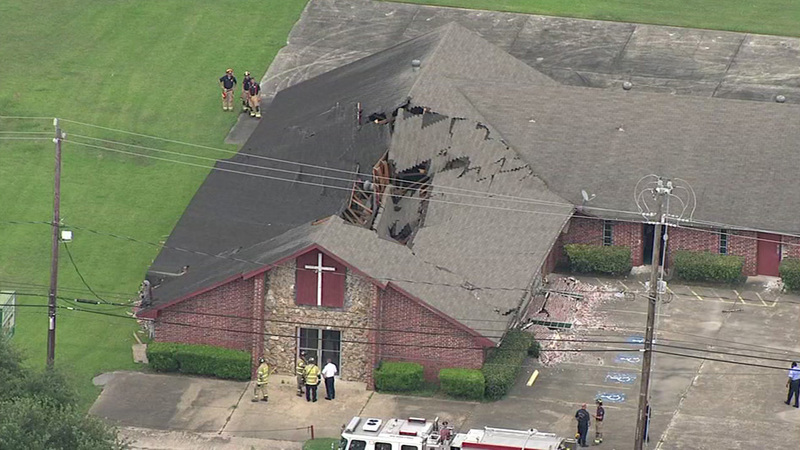 HOUSTON (KTRK) -- A good chunk of the roof of a northeast Houston church has collapsed. It happened at the True Faith Missionary Baptist Church at 5806 Hirsch. Officials with the Houston Fire Department say they are no injuries or reports of people trapped. At this point, it's not clear why the roof of the 6,100-square-foot building collapsed.